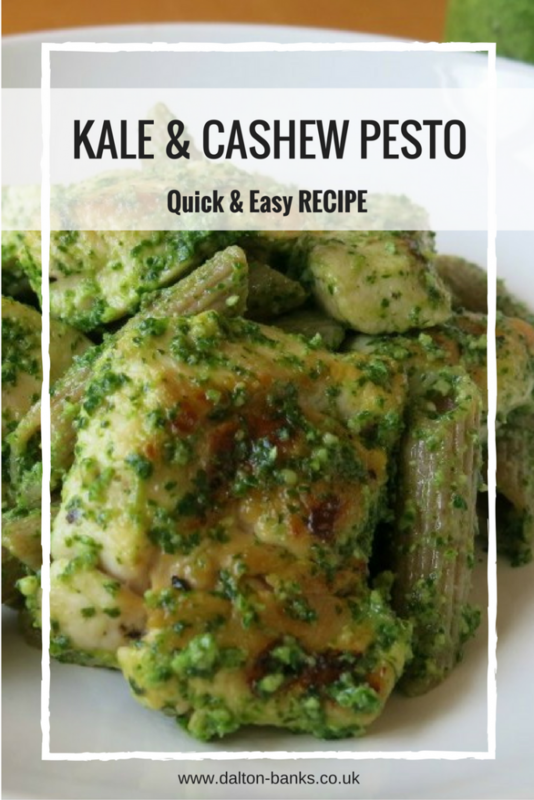 Kale and cashew is such an easy and quick recipe to make. I prepare it on a Sunday and then use it up during the week. 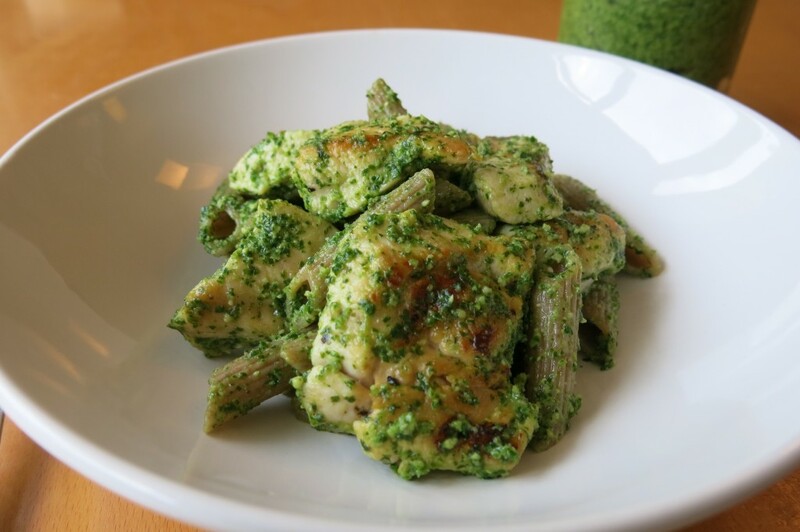 There are so many different ways to make pesto and this is a nice alternative. I add very little parmesan so it’s also good for the waistline too – no nasties in this recipe! This will make enough to fill a standard jam jar. Put all of the ingredients in a food processor except for the parmesan and whiz it until smooth. Season to taste and then add a small amount of parmesan (probably about a table spoon) and give it another blitz. I limit the amount of cheese I use to try and keep it as healthy as possible. But obviously you can add more if you like! Once it’s all blended transfer it to an air tight container and stick it in the fridge. It’s that easy! I had mine with chicken and wholemeal penne pasta. I like to make up a batch of this so I can have it for lunch the next day. It’s also really tasty drizzled on a tomato, avocado and mozzarella salad. Make this up on a Sunday and then you can use it in a variety of ways during the week.